One of the leading and respected voices of the environmental movement is that of Paul Hawken, renowned environmentalist, entrepreneur, author and activist who has dedicated his life to changing the relationship between people, business and the environment. Currently, Hawken is Executive Director of Project Drawdown, a nonprofit dedicated to researching when and how global warming can be reversed. Bioneers has been honored to host Hawken on our conference stage in past years. Scientific consensus points towards the need to limit global warming to two degrees above 1990 levels to avoid the most calamitous impacts of climate change. At the very same time, significant research (and current events – see: Trump, Paris Accords) indicate that reducing emissions to meet that goal is becoming an increasingly difficult prospect. Project Drawdown asks a fundamentally different question: What if we think bigger? What would it take to not just limit emissions but literally draw them down, actually reducing the quantity of greenhouse gases in the atmosphere over time. Project Drawdown has pioneered the first-ever means to map and model the scaling of 100 substantive technological, social, and ecological solutions to global warming—and the math to rank which ones will do the most to reduce and reverse the effects of climate change. 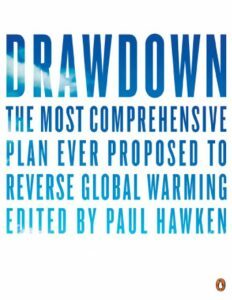 These key ideas, based on research by an international coalition of researchers, professionals and scientists, are summarized in the groundbreaking book Drawdown: The Most Comprehensive Plan Ever Proposed to Reverse Global Warming (Penguin Books, 2017). Think of the causes of climate change, and fossil fuel energy probably comes to mind. Less conspicuous are the consequences of breakfast, lunch, and dinner. The food system is elaborate and complex; its requirements and impacts are extraordinary. Fossil fuels power tractors, fishing vessels, transport, processing, chemicals, packaging materials, refrigeration, supermarkets, and kitchens. Chemical fertilizers atomize into the air, forming the powerful greenhouse gas nitrous oxide. Our passion for meat involves more than 60 billion land animals that require nearly half of all agricultural land for food and pasture. Livestock emissions, including carbon dioxide, nitrous oxide and methane, are responsible for an estimated 18 to 20 percent of greenhouse gases annually, a source second only to fossil fuels. If you add to livestock all other food-related emissions—from farming to deforestation to food waste—what we eat turns out to be number one on the list of causes of climate change. This section profiles techniques, behaviors, and practices that can transform a source into a sink: Instead of releasing carbon dioxide and other greenhouse gases into the atmosphere, food production can capture carbon as a means to increase fertility, soil health, water availability, yields, and ultimately nutrition and food security. That Western diet comes with a steep climate price tag. The most conservative estimates suggest that raising livestock accounts for nearly 15 percent of global greenhouse gases emitted each year; the most comprehensive assessments of direct and indirect emissions say more than 50 percent. Outside of the innovative, carbon-sequestering managed grazing practices described in this book, the production of meat and dairy contributes many more emissions than growing their sprouted counterparts — vegetables, fruits, grains and legumes. Ruminants such as cows are the most prolific offenders, generating the potent greenhouse gas methane as they digest their food. In addition, agricultural land use and associated energy consumption to grow livestock feed produce carbon dioxide emissions, while manure and fertilizer emit nitrous oxide. If cattle were their own nation, they would be the world’s third-largest emitter of greenhouse gases. Overconsumption of animal protein also comes at a steep cost to human health. In many places around the world, the protein eaten daily goes well beyond dietary requirements. On average, adults require 50 grams of protein each day, but in 2009, the average per capita consumption was 68 grams per day — 36 percent higher than necessary. In the United States and Canada, the average adult consumes more than 90 grams of protein per day. Where plant-based protein is abundant, human beings do not need animal protein for its nutrients (aside from vitamin B12 in strict vegan diets), and eating too much of it can lead to certain cancers, strokes, and heart disease. Increased morbidity and health-care costs go hand in hand. Similarly, a 2016 World Resources Institute report analyzes a variety of possible dietary modifications and finds that “ambitious animal protein reduction” — focused on reducing overconsumption of animal-based foods in regions where people devour more than 60 grams of protein and 2,500 calories per day — holds the greatest promise for ensuring a sustainable future for global food supply and the planet. “In a world that is on a course to demand more than 70 percent more food, nearly 80 percent more animal-based foods, and 95 percent more beef between 2006 and 2050,” its authors argue, altering meat consumption patterns is critical to achieving a host of global goals related to hunger, healthy lives, water management, terrestrial ecosystems, and, of course, climate change. The case for a plant-based diet is robust. That said, bringing about profound dietary change is not simple, because eating is profoundly personal and cultural. Meat is laden with meaning, blended into customs, and appealing to taste buds. The complex and ingrained nature of people’s relationship with eating animal protein necessitates artful strategies for shifting demand. For individuals to give up meat in favor of options lower on the food chain, those options should be available, visible and tempting. Meat substitutes made from plants are a key way to minimize disruption of established ways of cooking and eating, mimicking the flavor, texture, and aroma of animal protein and even replicating its amino acids, fats, carbohydrates, and trace minerals. With nutritious alternatives that appeal to meat-centric palates and practices, companies such as Beyond Meat and Impossible Foods are actively leading that charge, proving that it is possible to swap out proteins in painless or pleasurable ways. Select plant-based alternatives are now making their way into grocery store meat cases, a market evolution that can interrupt habitual behaviors around food. Between rapidly improving products, research at top universities, venture capital investment, and mounting consumer interest, experts expect markets for nonmeats to grow rapidly. 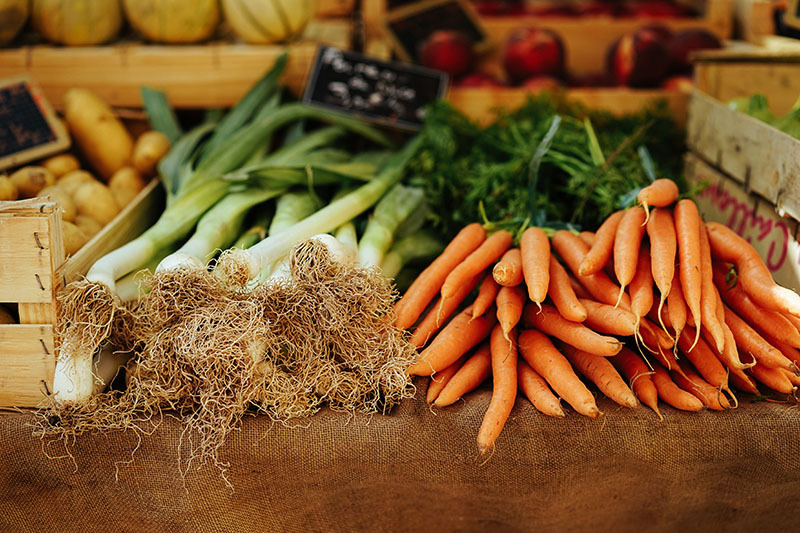 In addition to meat imitation, the celebration of vegetables, grains, and pulses in their natural form can update norms around these foods, elevating them to main acts in their own right, as opposed to sideshows. Omnivorous chefs are making the case for eating widely and with pleasure without meat. They include Mark Bittman, journalist and author of How to Cook Everything Vegetarian, and Yotam Ottolenghi, restaurateur and author of Plenty. Initiatives such as Meatless Monday and VB6 (vegan before 6 p.m.), as well as stories that highlight athletic heroes who eat plant-based diets (such as Tom Brady of the New England Patriots), are helping to shift biases around reduced meat consumption. Debunking protein myths and amplifying the health benefits of plant-rich diets can also encourage individuals to change their eating patterns. Instead of being the exception, vegetarian options should become the norm, especially at public institutions such as schools and hospitals. Beyond promoting “reducetarianism,” if not vegetarianism, it is also necessary to reframe meat as a delicacy, rather than a staple. First and foremost, that means ending price-distorting government subsidies, such as those benefiting the U.S. livestock industry, so that the wholesale and resale prices of animal protein more accurately reflect their true cost. In 2013, $53 billion went to livestock subsidies in the 35 countries affiliated with the Organisation for Economic Co-operation and Development alone. Some experts are proposing a more pointed intervention: levying a tax on meat — similar to taxes on cigarettes — to reflect its social and environmental externalities and dissuade purchases. Financial disincentives, government targets for reducing the amount of beef consumed, and campaigns that liken meat eating to tobacco use — in tandem with shifting social norms around meat consumption and healthy diets — may effectively conspire to make meat less desirable. However they are achieved, plant-based diets are a compelling win-win for society. Eating with a lighter footprint reduces emissions, of course, but also tends to be healthier, leading to lower rates of chronic disease. Simultaneously, it does less damage to freshwater resources and ecosystems — for example, the forests bulldozed to make way for cattle ranching and the immense aquatic “dead zones” created by farm runoff. With billions of animals currently raised on factory farms, reducing meat and dairy consumption reduces suffering that is well documented, often extreme, and commonly overlooked. Plant-based diets also open opportunities to preserve land that might otherwise go into livestock production and to engage current agricultural land in other, carbon-sequestering uses. As Zen master Thich Nhat Hanh has said, making the transition to a plant-based diet may well be the most effective way an individual can stop climate change. Recent research suggests he is right: Few climate solutions of this magnitude lie in the hands of individuals or are as close as the dinner plate. This excerpt has been reprinted with permission from Drawdown: The Most Comprehensive Plan Ever Proposed to Reverse Global Warming, edited by Paul Hawken, published by Penguin Books, 2017. Watch a video of Paul Hawken’s Bioneers 2015 conference talk below.